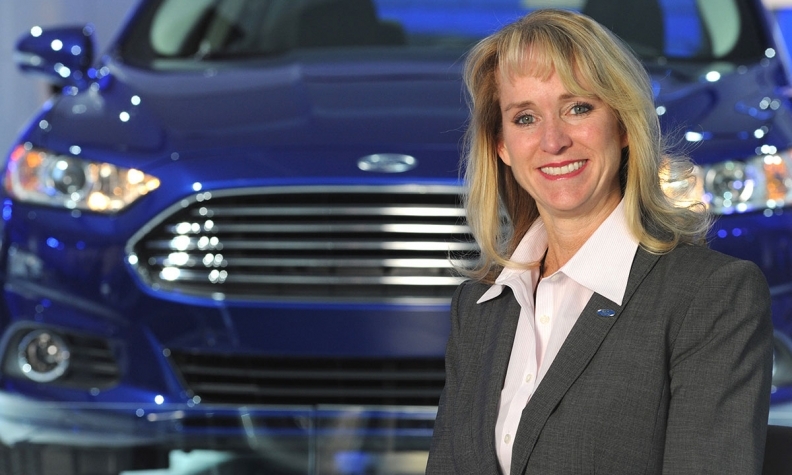 How does Ford of Canada President and CEO Dianne Craig want to change the TPP? For one, a 25-year tariff phase-out with Japan -- instead of five -- to match the U.S. deal. As president and CEO of Ford Motor Company of Canada since 2011, Dianne Craig looks forward to a day when cars drive themselves. She also says that, going forward, human connections will be ever more important. A Ford employee since 1986, Craig distinguished herself on the way up as a leader in manufacturer-dealer relations, among other things leading the National Ford and Lincoln Mercury Dealer Council process. The Buffalo, N.Y., native graduated from State University of New York and holds a Masters of Business Administration from Ohio State University. Q: You have lobbied for changes in the Trans Pacific Partnership, which Ford says it can’t support until two major changes are made: ensuring currency discipline by all members; and a 25-year tariff phase-out that mirrors the agreement the U.S. made with Japan, rather than phasing out tariffs over five-years as Canada negotiated in the yet-to-be-ratified agreement. A; The U.S. knows that the Japanese market is the third-largest in the world and it’s closed [to many U.S. imports], and [there will be] a strong snap-back that will restore the tariffs if Japan does not play by the rules (by adjusting the value of its currency to gain advantages in other markets). The five-year phase-out is not consistent with the United States and that was a big disconnect. And we know the Japanese government artificially lowered the value of the yen, which gives Japanese exports a benefit in the U.S. and Canada. It’s all for naught if there’s not currency discipline in the agreement. If we get those two aspects done, then we will be fully supporting the TPP. We’re a company built on free trade (but) we don’t want to do anything that will hurt our investment in Canada. What were your objectives when taking over the job in 2011? My goal when I arrived was to make Ford of Canada the most trusted and admired brand in Canada and so everything we’ve done is geared around that vision. We’ve just celebrated our seventh year of automotive brand leadership, but most important is how to grow the customer experience. You have said that while the company previously focused on sales and service processes, you are now looking at the “culture” of the dealership. When you think about a dealership, you have a number of businesses within a business. You have parts and service, F&I, new and used, and it’s a team sport. When a customer comes in, they’re not dealing with just one person. Their needs and expectations are different than they were even five years ago. They come in knowing what they want and the culture has to embrace them on their terms. You have embarked on “hospitality training” for dealership service departments across Canada. How’s that going? But handshakes, that first point of conversation with a customer and active listening have had a profound impact. You are also steering the company through a rapidly changing automotive landscape that is going increasingly digital. Earlier this year Ford debuted FordPass, a free membership that will provide access to car sharing, parking, payment options, and partnerships with stores and restaurants, even for those who aren’t Ford customers. What’s the plan? It’s part of a larger program, Ford Smart Mobility, that embraces connectivity, data and autonomous vehicles. The challenge is the pace of change. You can always count on perpetual change, but it’s moving at a rate no one has seen in the past. We want to become a leader in connectivity and how we serve customer needs from a mobility standpoint, especially in big cities where there’s so much congestion. We have the largest test fleet [of autonomous vehicles] of any automaker and we’ve been working on them for the last 10 years.